Please visit our NOTICES section from our site menu above or click on the link below to see all our current weather and shift notifications. See our CURRENT NOTICES here. We currently employ over 1300 people and are very proud of the fact that we are well diversified both in race and gender. We have over 150 people who have chosen management careers with us. Our current management team has over 500 years of experience in the fresh pork business. The new QPPInc.net website was launched on September 1st 2015. We hope you enjoy the site and find its information useful. Quality Pork Processors, Inc. is a privately held fresh meat processing company located in Austin Minnesota. 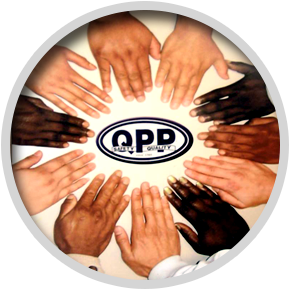 QPP was founded by Richard Knight on June 19, 1989. Nate Jansen is the current CEO. QPP has a very successful history, we have gone from processing 5,000 hogs in 1989 to the current level of 19,000 hogs a day. All of the fresh meat we process goes to the Hormel Foods Corporation. QPP provides more than 50% of Hormel's fresh pork raw material needs. At Quality Pork, our greatest assets are our people. We currently employ over 1300 people and are very proud of the fact that we are well diversified both in race and gender. We have over 150 people who have chosen management careers with us. Our current management team has over 500 years of experience in the fresh pork business. QPP has one of the best safety records in the industry, and we put the safety of our people as priority #1.